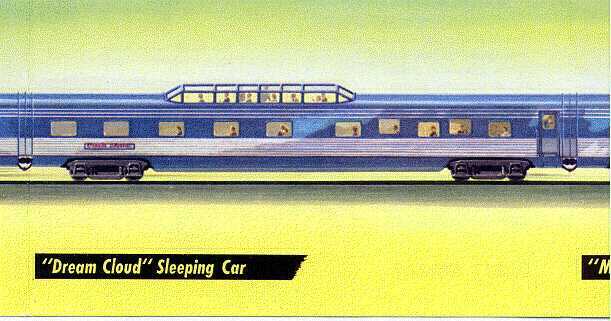 This was a complete train designed and built by General Motors. 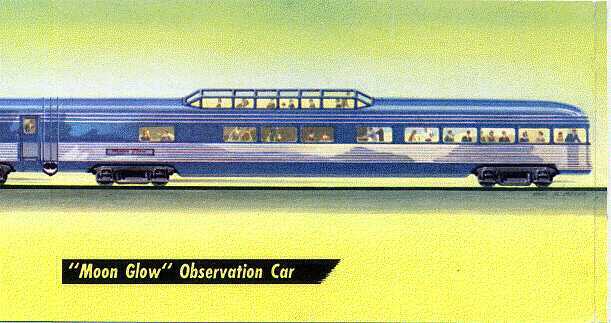 From 1947-1950 the train traveled 70,000 miles for display in 182 cities. There were about 6 million viewers from Boston to Los Angeles and from Seattle to Jackonsville. 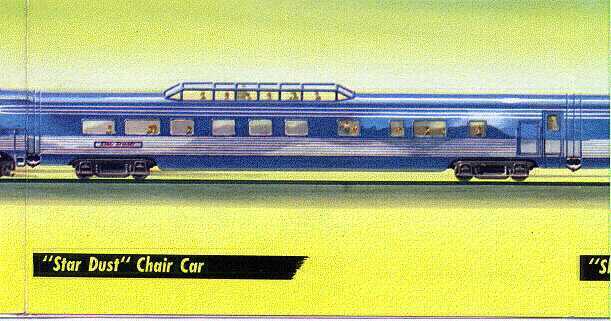 The entire train was painted "rich GM blue" with fluted stainless steel trim on the flanks. 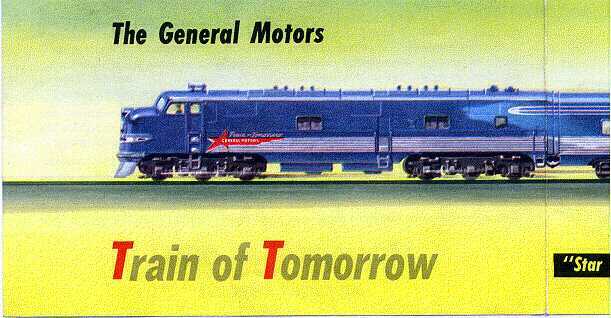 The engine had a slanted red star with General Motors in white and Train of Tomorrow above. All vestibules between cars were completely enclosed. 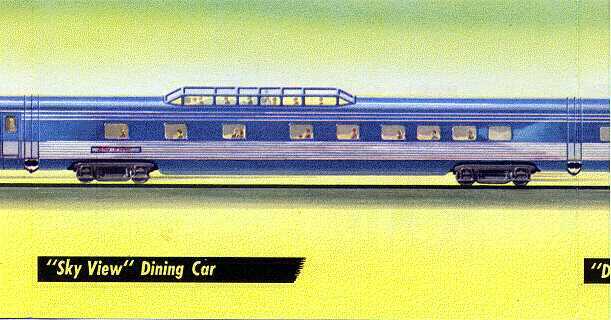 All scans are from The Brochure provided by GM during the tour and are copyright, 1947, by General Motors Corporation.